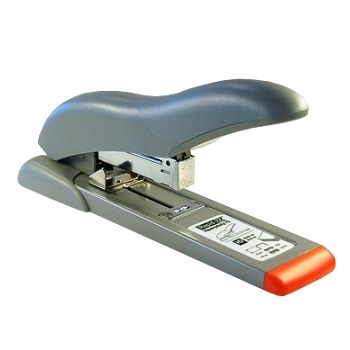 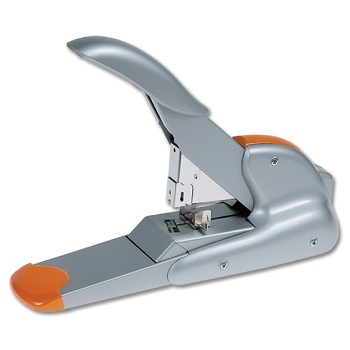 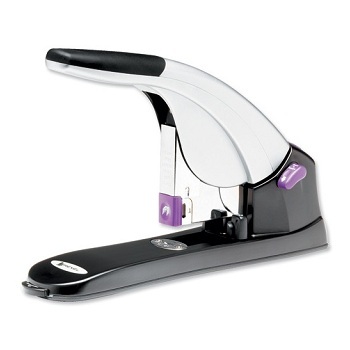 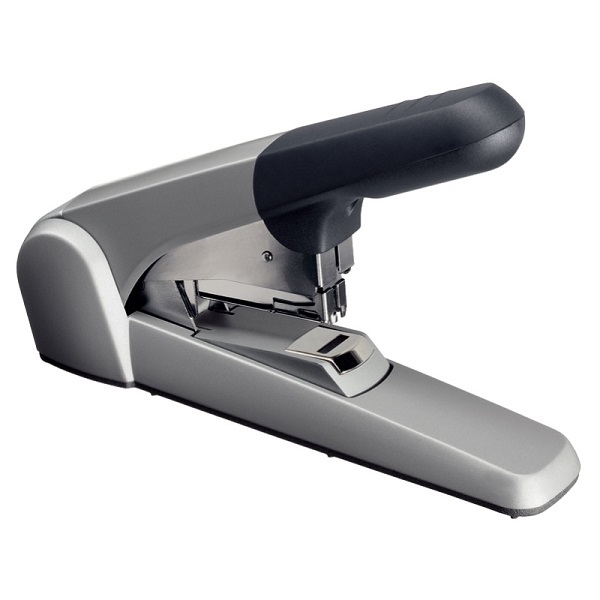 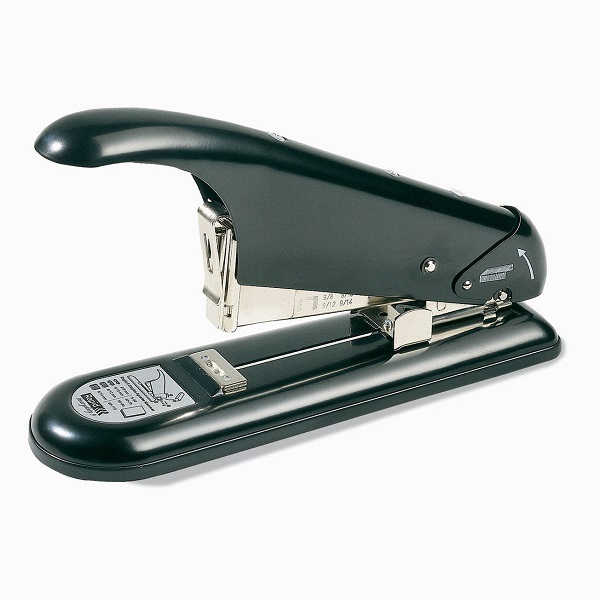 Heavy-duty stapler manufactured from die-cast metal and built to last. 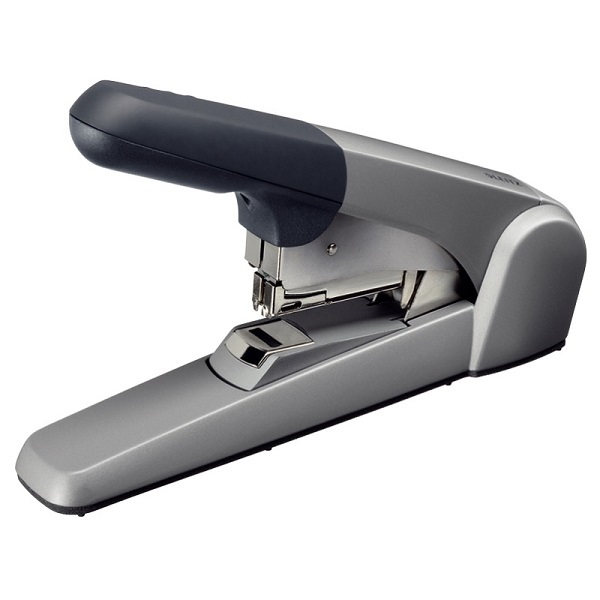 Large handle for extra leverage and easier stapling. 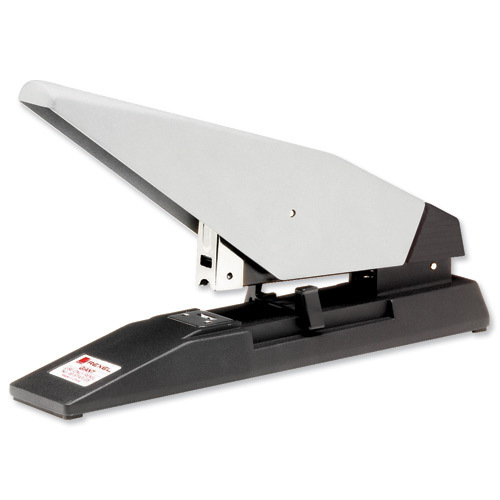 Jam clearing mechanism and fast action feeder. 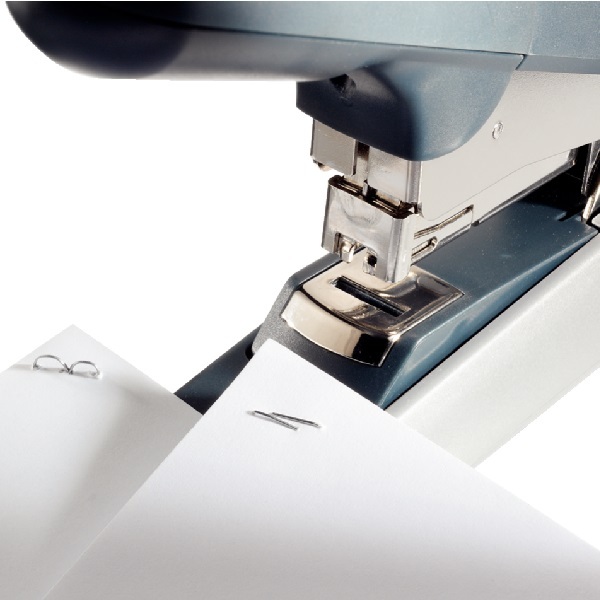 Staples up to 100 sheets (80 gsm) with one staple size.